"Sampath Speaking" - the thoughts of an Insurer from Thiruvallikkeni: India loses in Hockey; Abhinav Bindra misses medal by a whisker and .... Produnova !! India loses in Hockey; Abhinav Bindra misses medal by a whisker and .... Produnova !! Aussies started the tour with a bang in Pallekele, bundling out Lankans for a mere 117. Eight days of cricket later, the series has been decided, and one of these two teams has been completely humiliated. And it's not Sri Lanka. In Pallekele, rain and bad light conspired to drag the first Test into its fifth day, but in Galle Australia could not even reach the scheduled halfway point of the match. In less than two and a half days, they had lost an eighth consecutive Test in Asia. If it was Herath magic, at Galle it was Dilruwan Perera who starred. Perera picked up 6 for 70 in Australia's second innings of 183 and became the first Sri Lankan to take 10 wickets and score a half-century in the same Test. Miles away, 4 South African cricketers, including former Test wicketkeeper Thami Tsolekile, have been handed bans by Cricket South Africa for breaching the board's Anti-Corruption Code. While Tsolekile has been banned for 12 years, Jean Symes has been given a seven-year ban, and Ethy Mbhalati and Pumelela Matshikwe have each been given ten-year bans in relation to the 2015 Ram Slam T20 fixing case. Well, there are more sports than Cricket, as some of my friends are to say the obvious. 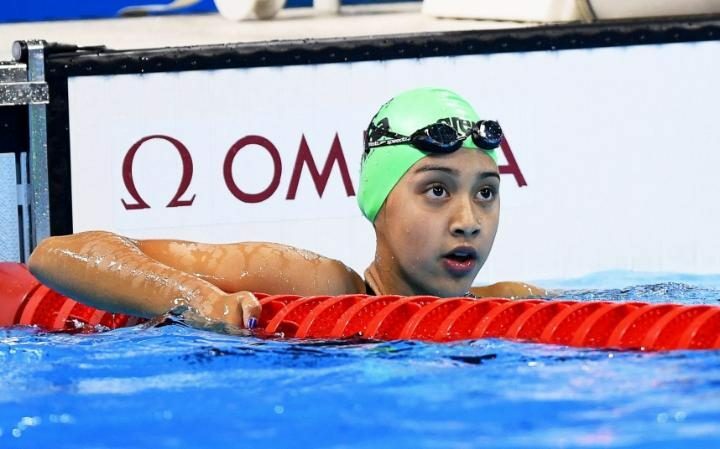 Nepal’s Gaurika Singh’s Olympics lasted precisely one minute, 8.45 seconds. She came 32nd out of 34 competitors attempting to qualify for the 100metres backstroke. No sooner than it began, it was over. But never mind. It is unlikely to be her last experience of elite competition. After all, she is only 13 years old. If she retired in 2032 after competing in the next four Olympics, she would still be just 29. Some Nations are already celebrating. Behind a dominant swim by Michael Phelps, the U.S. won gold in the 400-meter freestyle relay Sunday at the Olympic Aquatics Center. France finished second and Australia took third. This is the 23rd Olympic medal for Phelps and his 19th gold, both records. Some of what is written here, is not known to me before, especially ‘Produnova’. The vault is an artistic gymnastics apparatus on which gymnasts perform, as well as the skill performed using that apparatus. French gymnast Samir Ait Said, came off the table a little bit awkwardly and sadly broke his lower left leg on his vault landing, a particularly gruesome injury to witness. It shocked the crowd on Saturday at the Rio Olympic Arena and the upbeat mood turned grim during the men’s qualification rounds. Fans sitting closer to the vault area, and even from far away, said they could hear his leg snap. Ait Said was later taken by stretcher off the floor, receiving a loud round of applause from the crowd. The veteran Ait Said, 26, was considered a legitimate medal contender on rings in Rio. There is lurking danger, and nothing more dangerous than Produnova, an incredibly dangerous vault and has a difficulty rating of 7.0 D-score — among the highest. It is so difficult that till date only five persons, including Dipa Karmakar, have successfully attempted the vault. It is named after - Yelena Sergeyevna Produnova, a Russian former competitive gymnast. Her senior international career lasted from 1995 to 2000, and earned her multiple world and Olympic medals, though gold always eluded her. The Produnova is an artistic gymnastics vault. The vault consists of a front handspring and two front sommersaults. The vault currently has a 7.0 D-score, and is one of the hardest vaults being done today in Women's Artistic Gymnastics. At Rio, Indian gymnast Dipa Karmakar scripted history as she became the first Indian to make the cut for the individual vault finals in her debut Olympic Games after finishing 8th in the qualifying round. 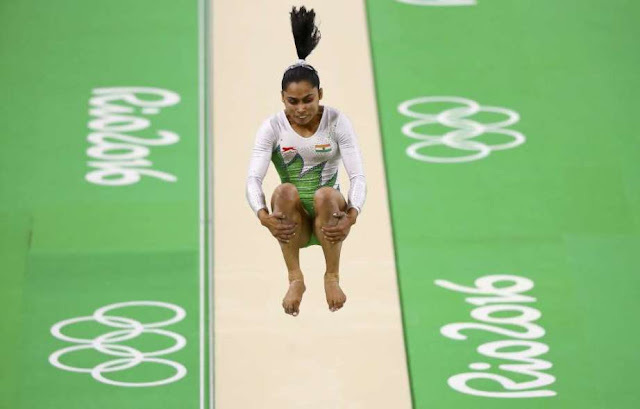 The Tripura-girl, who is the country's first woman gymnast to qualify for the Olympics, managed to perform her much-appreciated ' Produnova' vault cleanly to secure 14.850 points after two attempts. Dipa's success in reaching the olympics was possible because of the Produnova and the high score that performing it renders. According to the present rules, even if a gymnast barely pulls off a Pradunova landing, she could get an edge over most competitors. Gymnasts from countries which score well enough in other events do not need to take such gambles with vaults. Before the Rio Olympics, only a few have attempted the Produnova in competitions, but for gymnasts like Dipa it paves a way, even if dangerous, to the medal platform. Simone Biles, part of the US team for Rio is quoted as saying "I am not trying to die," to the New Yorker with reference to the Produnova. It was not a great day otherwise for India. Despite dominating the game for the most parts and two penalty corners, one of which they scored from, India were on the losing end of the second match of the Group B games against Germany with a 2-1 scoreline. The goal also came with three seconds to spare to make it an agonising loss for the PR Sreejesh-led team. The Champion Abhinav Bindra left it late to qualify for the Final in the 10m air rifle event. He continued to remain in the top 8 after the first two series but then dropped to outside the top 10 when he shot 102.1 in the fifth series. He qualified for the final, a medal was there – it seemed. Bindra the only individual Olympic gold medalist in 2008 at Beijing in the same men's 10m air rifle event, lost a tension-filled shoot-off against Ukrainian marksman S Kulish after the two were tied third at 163.8 in the race to reach the medal round. There was more of ill-luck as Sajan Prakash wais knocked out of the 200m butterfly event. He clocked 1:59.37 as India's challenge in swimming at Rio Olympics 2016 ends.